The Invacare® 9000 SL Lightweight Wheelchair features a lightweight design, flip up armrests for easy entry and exit, and choice of footrests or legrests. The Invacare® 9000 SL Lightweight Wheelchair ships for free (including the optional accessories) to the lower 48 States. If you are in Alaska or Hawaii, please contact us during business hours so we give you a price for shipping. 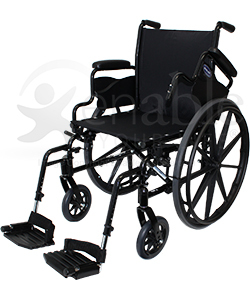 The 9000 SL Lightweight Wheelchair can be had with either standard footrests or elevating legrests. For most users, the choice depends on doctor advice and recommendation. Both options can be removed making transporting the wheelchair easier. 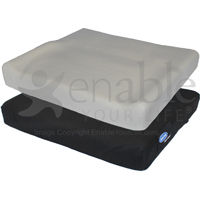 Elevating legrests feature a black finish, vinyl calf pad, and elevate to be parallel with the ground. They swing out of the way making entry and exit easier. The legrests are a little heavier and more cumbersome and are usually chosen on the advice of a physician. Seat width is 16", 18", or 20"